We live in a dynamic and ever-changing world, and the pace of that change is accelerating every year with the advent of new technologies and platforms. This means the marketplace has undergone fundamental change, and firms need to adapt to take advantage. You have the internet, Google, Facebook, Twitter, Instagram, YouTube, LinkedIn, WhatsApp and Messenger to name but a few of the multitude of platforms available from a quick glance at my phone. Is it time for you to embrace technology to help deliver a cohesive, coordinated and targeted marketing programme for your business? Do you still rely on print and the post to get your message across? There are alternative ways to communicate with your audience and at the same time collect valuable data for your business. This could come in the form of an e-brochure, e-invite and e-subscription form. And the response can be almost instantaneous so you can see the benefits. Website design and interaction is another area which is advancing rapidly. And it is another great tool to reach out to your audience and capture a new market. What does your current logo say about your business? Was it designed years ago? It might look fine on the side of your building, but perhaps is not so suitable for the multi-verse in the 21st century. A logo has to work across different many print formats, on digital channels, on work clothing, on the side of vehicles and on-line. In the past couple of years, famous brands such as Calvin Klein, Kodak, NatWest, BBC Three and Mastercard have all realised their logos needed updating, and even Google keeps reinventing itself. How about a new brochure, flyer or direct message to help promote your products or ideas, and impress your potential customers? Using exciting print material, or designing interesting direct mail pieces that make people sit up and take notice of your company/service can help get your message out there in a memorable way. Are your marketing databases compliant with the new data protection legislation? EU’s new General Data Protection Regulation (GDPR) comes into force on May 25 with implications for most businesses. With less than four months to go before the implementation date, do you know how you intend to communicate your approach to data protection and reassure your own customers about GDPR? It’s time to come up with a strategy so you can take ownership of the issue with a positive outcome for both yourselves and your clients. 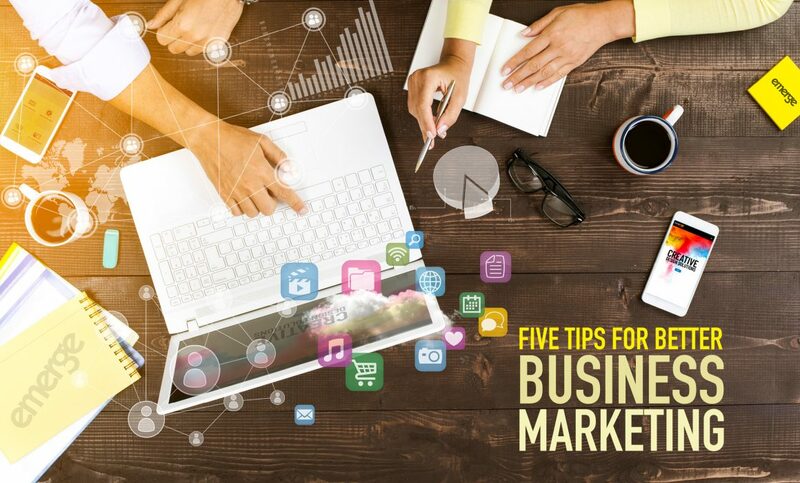 As a business, you might not have had time to take a moment to think about whether you are up to date with how all the advances in technology can help you market your brand or product. Well, Emerge Design can help you and maybe take a bit of weight off your shoulders! Email matt@emergedesign.co.uk or call 01952 632750 and we can have a chat!